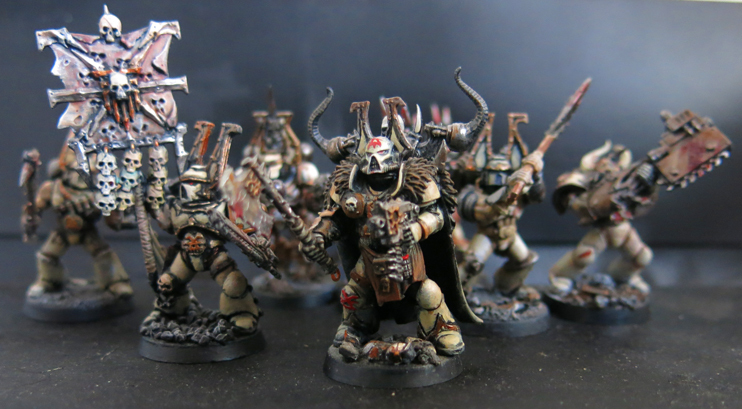 Few kits currently available in the chaos range can conjure such disgust and disappointment from fans as the Khorne Berserkers. First released over a century ago, the fact that the Berserkers remain on sale today makes a mockery of the company’s proud boast to make the finest toy soldiers in the world. Only the most perversely deranged of the pantheon’s followers find even the slightest glimmer of pleasure in these lumpen, ill-proportioned horrors, and even they wholeheartedly agree that even unconverted Blood Warriors from Age of Sigmar make infinitely superior Berserkers. Indeed some suspicious souls would go so far as to suggest that GW has held back on releasing new Berserkers in order to boost sales of the AoS range (do remember however that although a suspicious mind is a healthy mind to question the wisdom of They-Who-Art-In-Nottingham is to invite the scrutiny of the Inquisition…). Now on a more sensible note it’s safe to say that, in the wake of the Thousand Sons and the Death Guard, a full release for the World Eaters is probably no more than a year or so away. A reasonable man would crack on with painting the dozen or so projects already demanding his attention and wait for Angron’s legion to get their moment in the sun. Patience however is anathema to the followers of Khorne who prefer to rush in (chainswords revving) where the (Emperor’s) angels fear to tread, and I’ll confess I’m no different. With modern space marines reaching the proportions they’ve always deserved I’m not about to let Khorne’s followers miss out for a second! 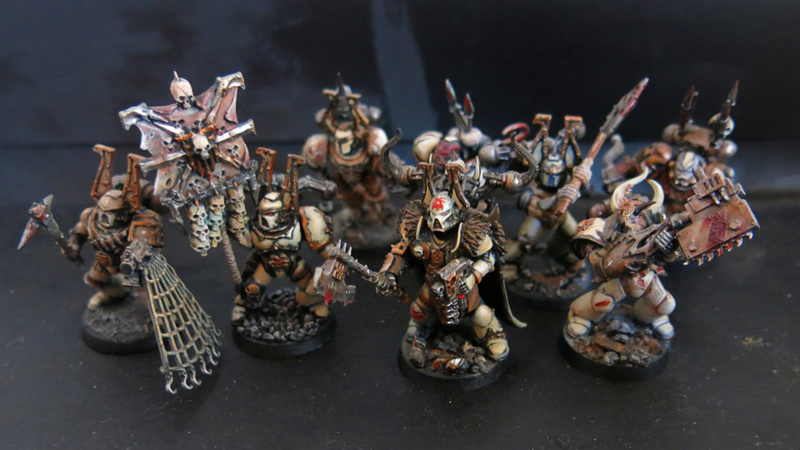 The Death Guard may have new models to enjoy but at least the warriors of Khorne can still look them in the eye! As a first shot I’m pretty happy with this chap, although there are a few things I’d change next time round. For one thing the smooth, clean lines of the loyalist armour doesn’t exactly match up with the jagged styling’s of the Blood Warrior, although hopefully that will become less obvious after he’s painted. The model also has a sense of the weight concentrating in the upper part of the body so next time I might try using the slightly more heavily armoured legs from the Hellblasters rather than the slimmer Intercessors. 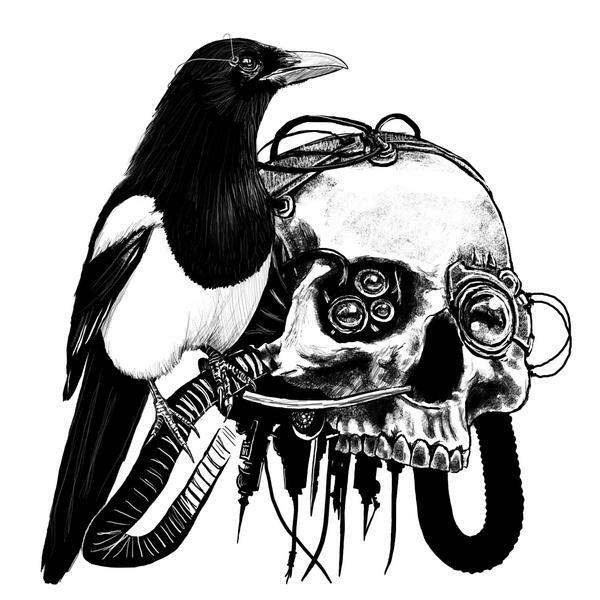 I’m planning on making a few more soon though so any feedback at this stage is especially welcome. Behold! Another berserker ready to reap skulls to lay before the Blood God’s throne!